On Wednesday September 5th, the GSA once again set up one of the most welcoming tables at the U.T.S.U. 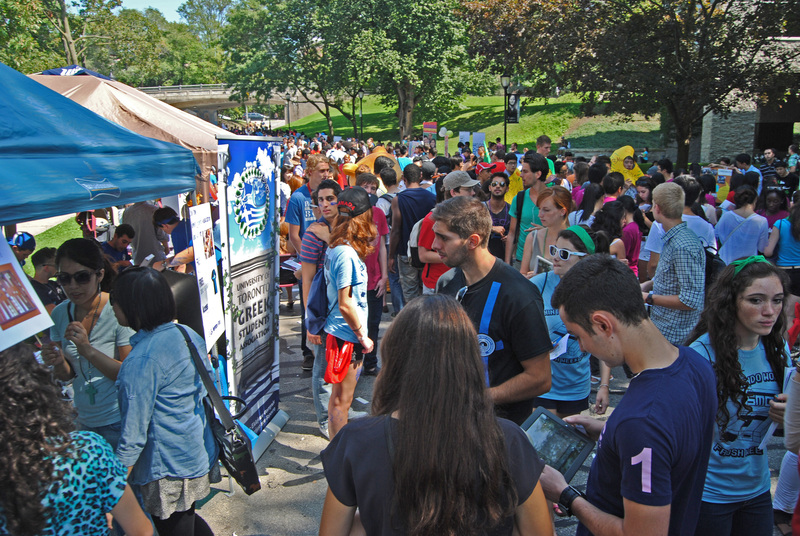 Orientation Clubs Fair Day. Our theme this year was Free Messini Gyro when you sign up to the GSA. We also introduced our brand new, redesigned 2012/2013 GSA T-Shirts, which you also got for Free when signing up with the GSA. With the help of our delicious Free Messini Gyro, stylish new T-Shirts, and our new iPad sign-up process, the GSA signed up a record-breaking 109 members during Clubs Fair Day!! We would like to thank everyone that signed up during clubs fair day, the executives and members that volunteered throughout the day, and Messini Authentic Gyros for graciously donating the Gyro for our event! The success of clubs fair day is only the beginning to the most successful GSA year ahead of us!